History has witnessed the atomic bomb’s godlike potential to completely destroy first-hand, and there will be no threat the world will face that is greater than that of a total nuclear holocaust. The capability to annihilate an entire world – its people, its past, its progress – belongs solely to the atomic bomb. In view of their terrifying and awesome power, we have compiled a list of 18 lesser-known facts about atomic bombs that will astonish you. 1. Kokura, Japan was the original target of the atomic bomb that landed on Nagasaki on August 9, 1945. 2. In 1961, the most powerful nuclear weapon ever built by man was detonated at Sukhoy Nos Peninsula, Russia. It was called the Tsar Bomba and its shockwaves travelled the earth three times. 3. 10% of the electricity in the United States came from disassembled Russian nuclear warheads, until 2013. 4. Japan’s capital city Tokyo did not realize that a bomb was dropped on Hiroshima until three hours after it happened. 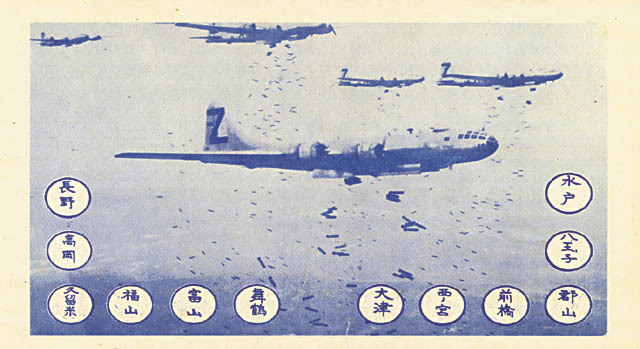 Prior to the bombings, however, leaflets were dropped from the sky, warning the citizens to evacuate the cities if they wanted to save their lives. 5. A hydrogen bomb that was 100 times more powerful than the one dropped on Hiroshima was detonated in space by the U.S in 1962. The high-altitude nuclear test was codenamed Starfish Prime. 6. During the 1950’s, atomic bomb testings were a major tourist attraction in Las Vegas. Nuclear testing took place 80 kilometers from the main city, so civilians would throw all-night atomic bomb parties with the mushroom clouds as backdrop.